This one really grabbed me! It is by far one of the best thrillers I have read in quite some time! The feeling of isolation is gelatinous as events unfold and questions start to follow every answer – I found myself wondering what I would do if I were in a similar situation (which is one of the ways I know I am getting ‘drawn in’). Unlike so many ‘formulaic’ attempts to scare this is a ‘nightmare stew’ that will fill you full of dread! Silent Fear (A novel inspired by true crimes) is available via Amazon as a paperback and Kindle ebook where it currently enjoys a 4.5-star rating. So often the tenor of a novel is distinctly set in a finely honed Prologue, and that is certainly the case here. ‘…Ever so gradually the hole in the brick wall grew smaller as he laid more bricks. Despite what was at stake, he worked at a leisurely pace, all the while thinking. That was something he did a lot these days. Thinking, that is. ‘The hole was now so small he could hardly see the object he was concealing. Only the deceased’s face was visible, covered by the transparent plastic bag he’d used so effectively to cut off the other’s air supply just thirty minutes earlier. ‘He smiled at the memory of the deceased’s final moments. Those last seconds when the young man had recognised his attacker and realised he was about to die. Beautiful…poetry in motion…slow motion. Oh how he loved the exhilarating, orgasmic-like feelings he’d experienced as the life of another was snuffed out. He willingly embraced them as he relived the moment. It was as if the helpless young man before him was still dying. ‘Studying the deceased now, or what he could still see of him at least, he recalled how he’d laughed uproariously just before death came to his victim. The visuals replayed over and over in his mind. He remembered how the veins in the young man’s eyeballs, face and neck appeared to burst as he was deprived of air, and how fragile he’d looked – like a child being tortured. That’s the premise behind the epic horror-mystery Silent Fear (A novel inspired by true crimes) — by the writers of The Orphan Trilogy, Into the Americas and White Spirit. 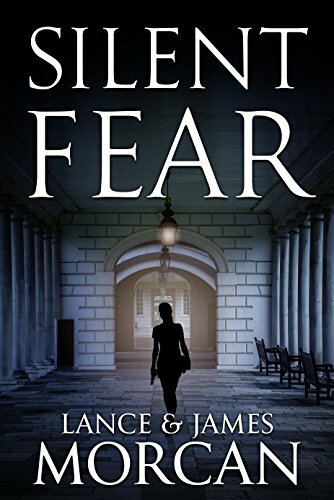 In Silent Fear, Scotland Yard detective Valerie Crowther is assigned to investigate the murder of a student at a university for the Deaf in London, England. The murder investigation coincides with a deadly flu virus outbreak, resulting in the university being quarantined from the outside world. When more Deaf students are murdered, it becomes clear there is a serial killer operating within the sealed-off university. A chilling cat-and-mouse game evolves as the unknown killer targets Valerie and the virus claims more lives. As the book’s subtitle suggests, Silent Fear is a novel that was inspired by true crimes. Those crimes being the murders of Deaf students at the prestigious Gallaudet University, in Washington, D.C. The investigating authorities didn’t know if the killings were ‘inside jobs’ and for a time nearly everyone connected to Gallaudet was under suspicion. A multi-genre epic available in paperback and ebook form, it has equal appeal for fans of horror, mystery, crime-thrillers, sci-fi and romance. Members of the deaf community resonate with the new release crime-thriller Silent Fear if the early reviews are any guide. Little wonder given the storyline, which is set in a university for the deaf in London, was inspired by the real-life murders of deaf students at Gallaudet University, in Washington, D.C., and was written under the guidance of a deaf consultant. Novel resonates with deaf community. “This book was also a thriller and that is a genre I am drawn in by. With a serial killer AND a flu quarantine it makes for a lot happening. “The characters in this story weren’t the type I would fall in love with and be rooting for throughout the book. Most seemed to have issues and that added to the suspense. I had read a review that said the reader was completely thrown off guard by the outcome of this book. With that in mind I started looking more deeply at the characters and had it all figured out minus the very final twist that you can’t see coming. It made for good reading. SILENT FEAR – coming to you this Halloween! The Kindle ebook version of our thriller-horror SILENT FEAR (A novel inspired by true crimes) will be launched on October 31 and we thought it appropriate this coincides with Halloween. It’s a scary read. Our friend and collaborator-in-crime Lisa Norris — @ernorris — kindly designed this artwork (below) to commemorate the occasion, and we reckon she nailed it! 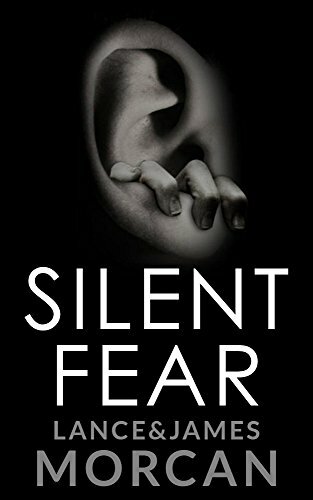 Pre-orders for the Kindle version of Silent Fear are open now via https://www.amazon.com/dp/B075HRYTVC/ — Order now and it will be auto-delivered to your Kindle at Halloween.